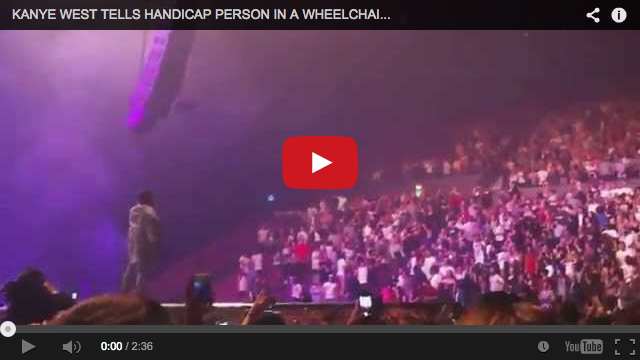 Kanye West Stops Show To Make Kid In Wheelchair Stand Up. Kanye West was playing a show in Sydney, Australia on Friday night when he abruptly stopped performing to make the entire crowd stand up before he would continue the show. 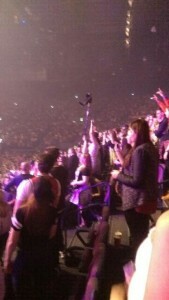 Unluckily for his ego, there were two handicapped people in the audience and not even Yeesus could make them stand up. 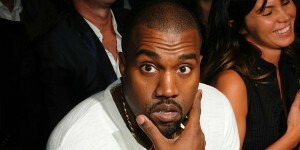 Kanye had started by saying, “I can’t do this show until everybody stand up. Unless you got a handicap pass and you get special parking and sh*t.” He then waited for a while, randomly calling people out in the crowd who were still sitting. Until finally it came down to two people who were not standing still. One of them had a prosthetic leg and the other was bound to a wheel-chair. The fan with the fake leg waved it in the air at Kanye, but when the other person didn’t stand up he sent his bodyguard over to the section to make sure that the person was actually handicapped. See What They Found On This Tiny Island That Shocked Zoologists Everywhere!